The modern-day resurgence of Jaguar is just great. And a long time coming. The mystique around the marque, which is a big part of its current revival, is usually attributed to the iconic E Type. But that is not all the story. Or, in fact, the real story. Jaguar is - and was - first and foremost a maker of svelte saloon cars. These models deliver the volume that has always kept the business running. The E Type and its XK forerunners were headline-grabbing sideshows that never delivered the volume or profits of the long run of big Jaguar saloons that sold alongside them. Trace Jaguar's heritage back to the original Swallow Sidecars and it's all about saloons. Arguably no Jaguar saloon was as successful or had the same impact as the original XJ of 1968. In original Series 1 form, few saloon cars before or since have ever looked as good. Unlike most family and executive cars, there was nothing derivative about the XJ - it was distinctive and yet very clearly a Jaguar. From any angle the original XJ simply looks good - and absolutely right. But there have been many good looking saloons over the years. Where the XJ excelled, and where Jaguar's future was secured, was in its abilities as a luxury car. Here was an upmarket yet real-world attainable car that drove better than a Rolls Royce yet looked like and had more power than most sports cars. The V12 version pushed the envelope way beyond contemporary offerings from Germany. It's easy to prove how important the XJ was to Jaguar. When new, demand easily outstripped supply. Although Jaguar continuously improved the car, it remained in production essentially unchanged until the early 21st century - the architecture and underpinnings of the X308 can be traced back to the original XJ via the XJ40. 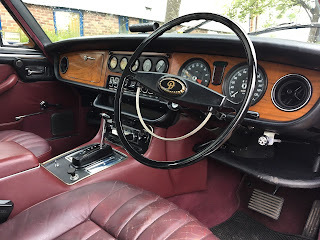 So not only did the original car fund Jaguar's survival and keep the factories moving, but its essential Rightness enabled the company to recycle the basic design for 35 years without incurring the cost of a brand new model. As a totally new car was economically unviable, the venerable XJ literally kept Jaguar alive. 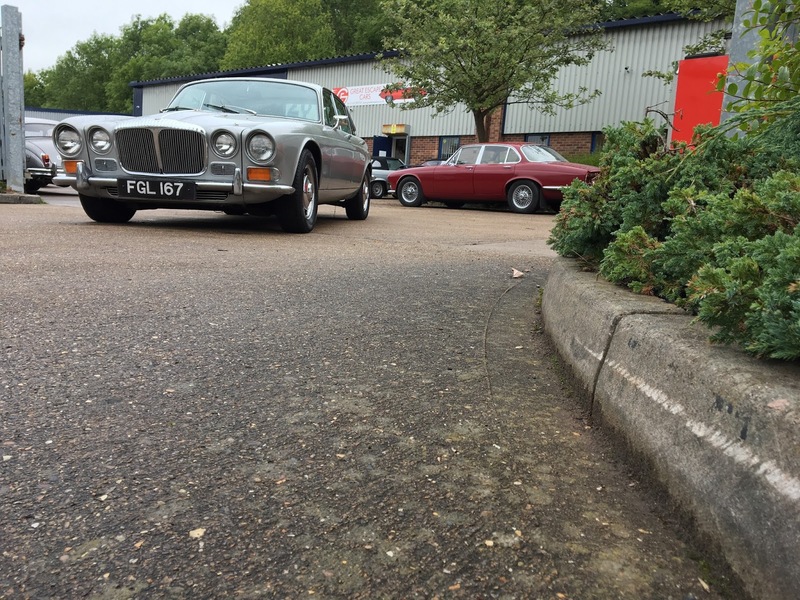 All of this came to mind when we recently added the beautiful Daimler XJ6 in these photos to our fleet. Somehow I've owned more XJs than any other car, including Series 2, 3, coupe, X300 and X308 supercharged versions. While the later cars don't really float my boat, being too compromised for modern driving, the early cars are frankly astonishingly good. Drive an early XJ like this Daimler and you will be shocked at how well it drives. New cars aim for serene and cocooned, yet in 1968 the XJ was delivering a private members club on wheels without access to double glazing and fancy technology. The original XJ is calm and unruffled, it oozes down the road like a louche cad, well aware of its innate abilities but just taking them for granted. This is what a Jaguar is all about - power when you need it, but do you really, actually, in all honesty, need it? The XJ makes a good case for being the best saloon car of all time. Certainly, there aren't many luxury saloons of the same era that can lay claim to being as influential or with the status of an icon. In fact, the XJ may well be the best saloon car Britain has ever made, even if how it was made isn't quite up to the comparison. XJ prices still lag, inexplicably, behind the Jaguar Mk2, although they are on the up. We strongly recommend you get in on one now. Great Escape Cars offers daily hire of the Daimler shown here or you can hire it on one of our Taster Days or Jaguar Driving Days. To find out more click here or call 01527 893733.